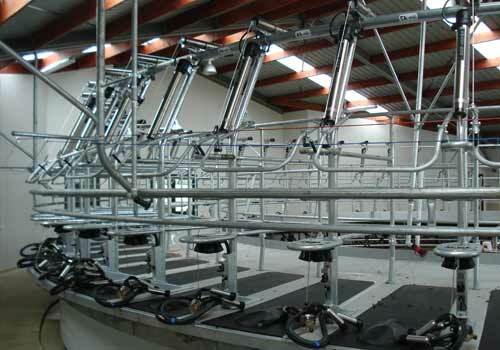 A rotary platform is an efficient method of milking large-scale herds. A rotary system creates a steady flow of cow traffic to cups on. 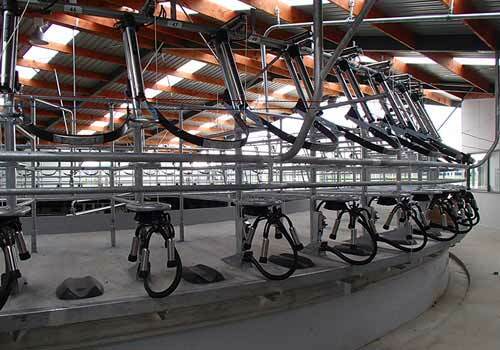 Typically a rotary platform by Waikato Milking Systems will give you a 25% reduction in milking time, and reduce your need for trained staff. are built to the highest standards that make us the industry’s leading rotary platform manufacture. Our range includes three cow platforms and a goat and sheep model. Our commitment to providing farmers with customised dairy solutions means that each platform has a unique specification with specialised materials to fulfil individual needs.